Ten altcoins to make you rich in 2018…. Comments Off on Ten altcoins to make you rich in 2018…. 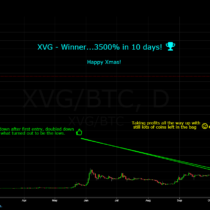 XVG – On the verge of becoming rich!…..
Bitcoin (BTC) – BUY BUY BUY!! 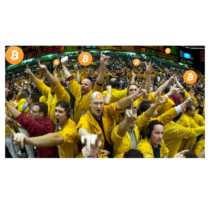 Comments Off on Bitcoin (BTC) – BUY BUY BUY!! Digibyte (DGB) – 100% in 3 days! Comments Off on Digibyte (DGB) – 100% in 3 days! HMQ – I wasn’t sure what it was but I liked it… alot! Comments Off on HMQ – I wasn’t sure what it was but I liked it… alot! Copyright © 2019 Living on Crypto . All Rights Reserved.